We received the new and VERY LAST Zap number 16 this week. 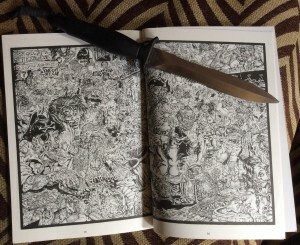 It contains ten drawings Wilson did while he was still in the hospital, as well as the centerfold drawing he did for it in 2007, before he was injured. 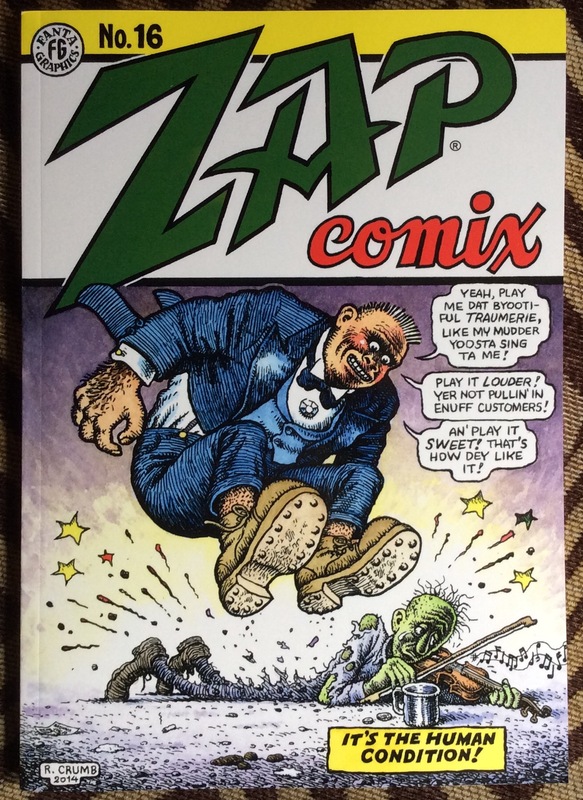 We had all forgotten about that incredible black and white masterpiece until it’s new owner wrote to me, asking why it wasn’t in the version of Zap 16 which was in the giant Zap Anthology which came out earlier in the year. Oh dear! I forgot! And we all know Wilson certainly had….or if he did remember, he couldn’t tell me. Fortunately, this was brought to my attention in time to get it printed. The single issue hadn’t been assembled yet, so it was made just in time! It’s not placed in the center, actually, but you will find it close to the end of the 96-page volume, on pages 88-89. It is a densepack masterpiece. I remember when Wilson was working on it, because he would yell to me in the hallway “HA! THEY’LL NEED A MAGNIFYING GLASS TO FIND THIS ONE!” then zip back into his studio, cackling with glee. It took a couple of months to complete, and at times he was exasperated, wondering why he was doing this to himself. He could have done something easier, and it would have still been great. Some people actually prefer his earlier work, which was certainly easier to look at, and had a more whimsical look. But in light of his injury, it is kind of an accidental gift to the world, this last incredibly complicated drawing. Not something you can glance at quickly, then be on your way. You are required to spend some serious time with it, there are so many hidden treasures to be found within its borders. his contemporaries will have to get out their reading glasses, for sure. 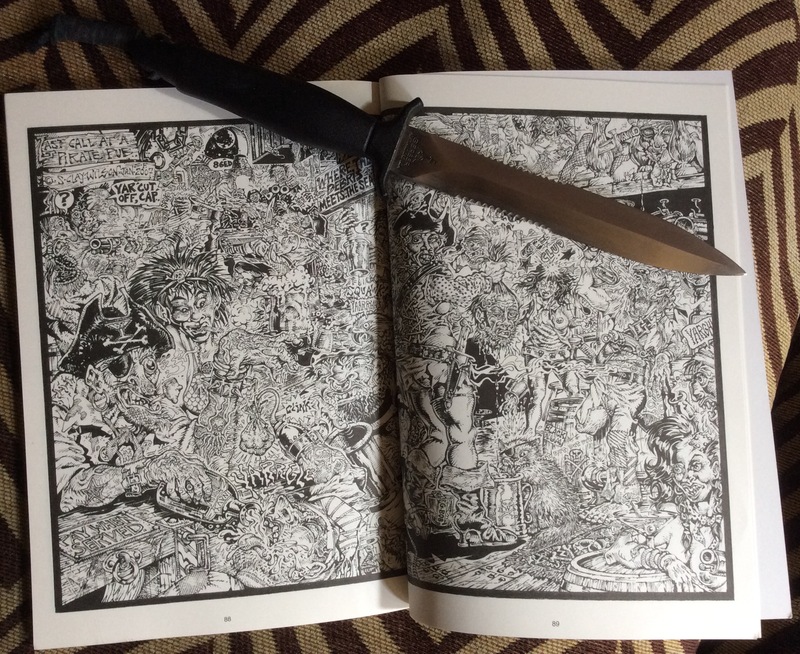 Enjoy his last really intense drawing. I am so glad it was included where it was intended to be found.